Photos from the 2019 edition of the LTHL Awards ceremony are now available for your viewing pleasure. It was a special night for all of the members of the LTHL. A special surprise was revealed at the LTHL Awards. Click the link below to view the teaser trailer for the upcoming LTHL Heritage Cup. More details to be revealed later this year. 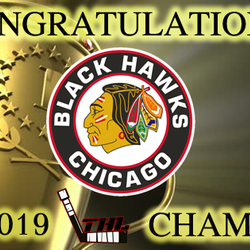 Tonight we end the 2018-2019 season by celebrating the accomplishments achieved by the LTHL players. It's going to be an unforgettable night with a few surprises in store! 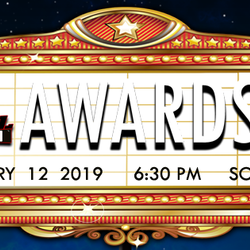 The biggest LTHL Awards yet takes place tonight at 6:30 PM. Congratulations to Cody Nodding and Kerry Emino on becoming the 2018-2019 LTHL Champions! This marks their first championship and Chicago's fourth consecutive championship. 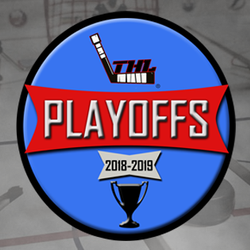 The 2018-2019 Playoffs are underway! The semifinals are definitely going to be remembered for many years to come. Get the full recap from the exciting first round. 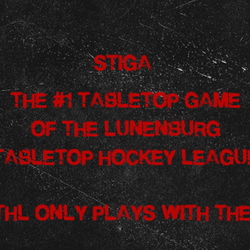 GET ALL OF THE LATEST LUNENBURG TABLETOP HOCKEY LEAGUE NEWS RIGHT HERE! Like our Facebook page to follow all of the action and get instant updates.